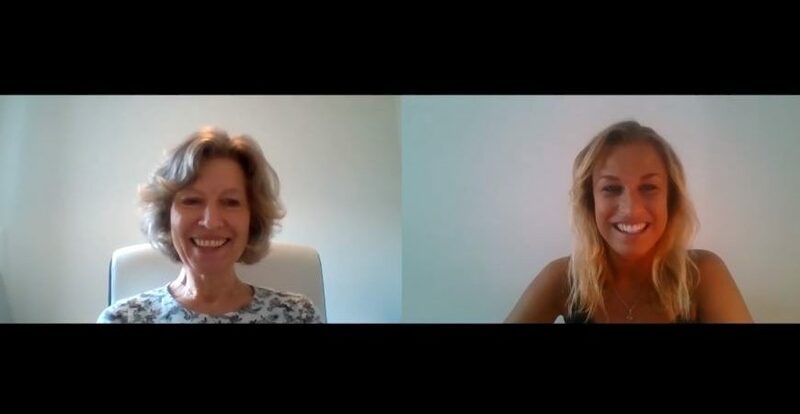 Interview with Ursula Maria Bell about Family Constellations. 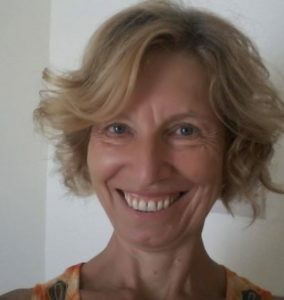 Ursula Maria Bell is a certified systemic medial counsellor and family constellations facilitator and is an Accredited Registered member of the National Counselling Society (NCS). She has a degree in Viktor Frankl’s logotherapy and existential analysis. Besides her degrees, she did several trainings and workshops in empathy training and non-violent communication and she did a workshop in in-depth interventions in couples counselling. What is family constellations ? It is difficult to explain, there are many ways to clarify what family constellations is, you will understand it really when you have participated in it yourself. But to explain it shortly, it is reconnecting to our family of origin and our family members and understanding how we as individuals are embedded into something bigger, and can be entangled or connected through hidden loyalties and from this can come personal issues, health issues and relationship issues. 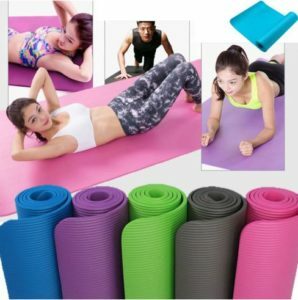 It can be done individually but also in a group which has been done traditionally. In the group you have someone in the group who presents an intention or issue and the other people participate as representatives, they can represent family members of this issue holder or aspects that are needed to find a solution. How did you become a family constellations facilitator? I came to this work because of a personal issue, years ago I had an issue with my mother and my sister and I was really hurt, angry and upset. Even my training in logo therapy didn’t help me. A friend of mine said that I had to work on the issue, because it is very likely that my daughter would carry it on. She said that there would be a workshop in one or two weeks time and maybe there is space. “Just have a look at it and maybe it is something that can help you.” Then I booked the workshop and when I was there I saw the bigger picture, I understood that everything I thought was going wrong was not as seemed. I thought I was the victim and they did not want me and pushed me out, but in the constellation it showed that its not the pushing out, but it is the gentle pushing me in my own way of living, so it was like a liberation of family history. This made a total change in perspective from the victim mode to the person that can embrace her own life even though it is a different one from the family. And second, I really felt like this is what I want to do with my life, this is what I have been looking for to complement the work in logotherapy, the connection between the mind and soul. I asked the family constellations facilitator, how can I learn this? And he said, by coincidence I am starting a training right around this time, would you like to join? I started the training and it was and still is an amazing thing. We did a lot of intuitive work the constellations training was complemented with different other approaches. It was very profound and deep. Absolutely, it was maybe not the change that I would have wished for, but with the work we do, we do not change the others. If the others change that is perfect, but it is about changing our own attitude. If I change my attitude towards another person, this person will automatically treat me in a different way and if not I can step away from this person in a peaceful way. The work is not about changing the situation, it is always about changing something within yourself, where and your surroundings can change to that too. In a therapy session, you are more focused on the individual. Even in family therapy the individual is the focus connected to who else is in the system. In the family constellation approach we see the individual as embedded into something bigger, we see that the issue of the individual is something that is connected to a bigger picture. Maybe it could be coming from generations back. This makes a difference at how we look at a client, sometimes when a client has a very difficult phase in life, we could feel pity or we feel emotionally with this person. With the family constellation approach it is not that we don’t feel. I see this amazing big soul carrying something and the love that goes with it within this family and trying to find these solutions and the ways out. 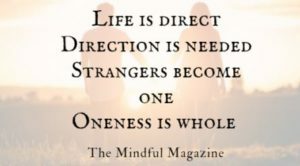 In the family constellations approach everybody belongs in the family system. If someone is a murderer, if someone has aborted a child, or if someone is excluded. We include everybody and everybody has a right to belong and is taken in considerate in the family constellations. Everything that someone has done, or not has done, it is connected to something bigger. However, that does not mean that they do not have to deal with the consequences, but this is on a worldy level. You can leave your family and move far away and try to break with them, but you will always be connected to your family on a soul level. So you might go away, or send someone to the moon. But that does not mean that is really healed what needs to be healed. It is all about treating the root of the situation, not only the symptom. About understanding who you are without your family, being who they are. You can become the best version of yourself, when you accept who you are and where you come from. In a constellation we can see the roots where something comes from. An example could be that someone feels unloved by their mother. Then it might show up that the mother couldn’t take care of her child, because in her past she lost her own mother and she got stuck to that feeling in the past. Then she becomes emotionally unavailable herself, because she hasn’t moved on from the past. Living in the past prevents people from moving on to new opportunities and a new future. In some other therapies, you keep going back over and over again. However, at some point you have to find a solution to let go and move on. Do you do family constellations with your own family, how do you form a group? Usually, it is not with your own family members. Sometimes they come along and that’s great. However, mostly it is with a group of people who represent your family members, so you can come alone. These people do not know anything about your story, or your family members. The way I do a constellation is, when someone books a constellation I send them a questionnaire about their family history and things that happened and a draft of a genogram, which is basically a family tree and then with this information already before the family constellation starts, I see who is excluded, or not in the right place and so on, to understand which family members need to be represented in the constellation. At the day of the constellation the person does not have to talk in front of the group. The group of representatives only know the intention of the person. How do the representatives play the family members? There are two things, there is a connection to our ancestors which I think is the easiest to understand. We know about transgenerational trauma and that even the DNA can alter through trauma. This explains why we carry on things from our own ancestors, but how can people represent someone that they have never met or maybe even has died a 100 years ago. In our modern life, we want to have an explanation or scientific proof to everything. They try to explain how family constellations work wit morphogenetic fields. At the beginning I wanted to explain it, but I can’t. So I just let goof the attempt to explain it, because it just works. People are put in the position of a person or an aspect like love or respect. Many times the people do not know who they represent, so why does this person acts in a way of the issue holder might say: “you know, the face, the expression, was like my father!” So in reality there is no real explanation. But please do not see it as a magic wand, as something you do and all your troubles will fade away. This is not the case. Sometimes changes happen quickly, sometimes it takes time and the changes are subtle, but definitely visible after a while. it is about understanding and patience. How do you do private sessions with people? I did actually private sessions before I did the group sessions. I started working with chairs, and these represent the family members. The clients then sit in the chairs, without knowing which chair represents which family member. Sometimes a private session goes even deeper, because they experience it themselves. I also sometimes work with cushions. It always depends on the person and on the issue. But yes, it can be applied very successfully in private sessions. 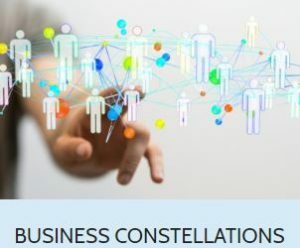 Basically, a business constellations works like family constellations as it is a system as also a company. You can even apply the constellations on countries or any kind of a system. It could be done just with the manager or with a team. The preparations obviously are different, but the principles of the approach are the same. For example, you could create a team of people who are not related to the company just for the manager to understand the dynamics of the company and how he/she can support his/her team or the people. If it is a team that comes as a whole, there also need to be other exercises to build up trust within the team. It is about understanding the constellation work is a non-judgmental work, it is not about right or wrong or about I do it better than you, it is always about understanding three fundamental things: Who is/ was excluded and not honoured, who is in a position that is not hers or his and there is a balance in the exchange of give and take. It is about overseeing the whole situation and respecting one and another to create the best possible solution for the whole system. This approach is less hurting than other coaching approaches might be. How often should you do a family constellation? That really depends on the person, on the question and the family fate. There are people who do it once, others more often. For me it is important that people don’t take it too easy and that people wait for at least 6 months to do another constellation in a group to allow things to develop and not disturb the process. Thank you so much for your time Ursula, I really appreciate it! For people who want to book her session private or a family constellation group session, you can go to here website UrsulaMariaBell. She is working in Malta and the UK, but is open for any other location where she is invited to. Previous Post How to prepare and go deeper into meditation?